Over 80 per cent of India’s energy needs are met from non-renewable energy sources, the fossil fuels. Coal provides a little more than 50 per cent of the energy supplied from non-renewable sources, followed by oil and natural gas. Such an energy regime leads to high carbon emissions. Not surprisingly, nearly 40 per cent of India’s carbon emissions are from the power sector. The overdependence on fossil fuels also has much bearing on the country's energy security given the fluctuating global oil prices and sustainability of coal. Imports cater to over 80 per cent of India’s oil needs and around 20 per cent of our coal needs. It makes sense to shift to renewable energy. But what about the enviromental costs of such energy? Let us take small hydropower first. In 1997, the Central Electricity Authority estimated a potential of 5,519 MW of electricity from small hydropower projects, including those producing 3-15 MW. Since 2000, several small hydropower projects have been mooted, many of which are in the geologically and ecologically sensitive Himalayan and Western Ghats region. Dams are under construction in the ecologically fragile Northeast region of the country. Critics have pointed out that these dams will lead to flash floods in the tributaries of the Brahmaputra. Questions are also being raised on the stability of dams and their long-term viability. Relocation of tribal people displaced by the dams is a contentious issue, and ecologists argue that dams will submerge pristine rainforests. The recent flash floods in Uttarakhand exposed the danger of harnessing hydroelectric power projects in the Himalayan region. Is wind energy an environmentally sound option? India is the fifth-largest producer of wind energy with an installed capacity of 19 GW and an estimated potential of 48 GW. Tamil Nadu, Gujarat, Karnataka and Maharashtra are leading producers. But wind energy does not come without associated impacts. Establishing wind farms near ecologically sensitive sites has caused more harm than good. It was only after a strong fight put up by environmental activists that a few wind farm projects in the Western Ghats, like the ones in Bababudangiri Hills in Karnataka, were cancelled. Some like the Bhambarwadi wind farm in the Western Ghats of Maharashtra still managed to get through. In undertaking renewable energy projects, India can learn from other countries. China, for example, has faced global criticism for hydropower projects that have high environmental costs, and Spain’s large wind farms are under criticism for causing high bird mortality and disturbing bird migration. The impacts of Indian wind farms on avian mortality, breeding and migration have not been well studied. Result: wind farms like the one in a bird paradise like Jamnagar in Gujarat have got away with easy environmental clearance. Let us examine the merits of solar energy. The Jawaharlal Nehru National Solar Mission launched in 2010 set an ambitious target of deploying 20,000 MW of grid-connected solar power by 2022. The only environmental issue with solar panels is land requirement: roughly one-two hectares is required for installing solar panels that produce 1 MW, depending on the efficiency of the panels. A study published in Current Science reckons that a mere 3.1 per cent of the total uncultivable land area in the country would be required if solar energy were to be used to meet our future electricity needs. The option of having solar panels on rooftops of commercial and residential buildings is becoming popular. The ministry of new and renewable energy offers up to 30 per cent capital subsidy on implementing rooftop solar panels. State governments like Gujarat also offer subsidies. 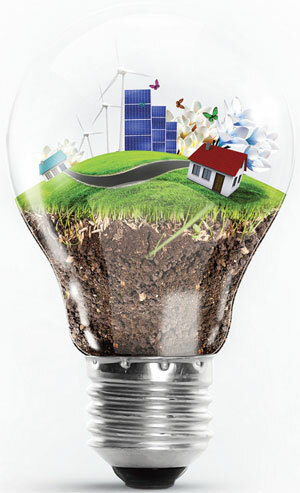 Solar energy, then, appears to be the safest form of renewable energy from an environmental standpoint. This is not to say that the country should discard wind energy projects. They should be carried out after proper assessment of their environmental impacts. Hydro Power despite of the associated impacts looks like most viable, long term sustainable option for energy generation. Wind and Solar energy are lagging in terms of efficiency as well as huge land requirement and can not be an option for fossil fuel based energy options. I agree with Dhanpal. We need to start looking at roof top solar panels and make arrangments to feed back to grid the excess power generated by house hold. This will encourge individuals to go in for solar power as a venture with out government coming up with rules, subsidies etc. This will also encourage solar panel manufacturing in india and also allied power equipments. Hi dhanpal: a very good article but I read somewhere that the "solar cells" life is about 3-4 yrs and pose a detrimental effect too while disposing it. Please do u have some information on that. This is not a sarcactic comment but wish to know further. Thanks. Good article. I have some modifications. There is criticism on coal power,Nuclear Power. So people cite as alternatives Renewables. Now Wind for ecological interference,solar radiation v by PV and depletion of ground water and for Biomass loss of plants. There is acute shortage of power in the country. How to meet it. So all avenues for power generation including nuclear should be explored not to replace the conventional power but to supplement them. NO POWER IS COSTLIER THAN NO POWER - Dr.H.J.Bhabha.